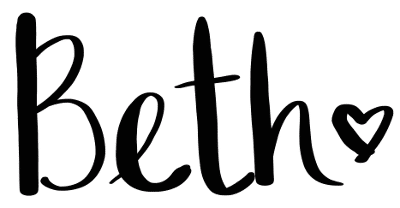 Welcome to Plaid Week 2018! 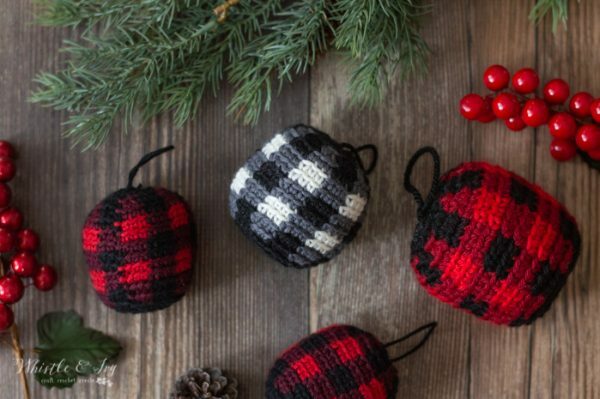 It’s hard to believe that it’s already time to start crocheting gifts for loved ones, cold weather accessories for yourself, and of course crochet some plaid. I hope you enjoy the patterns I have for you this year, and as always, if you ever have a plaid idea or suggestion, send me an email. 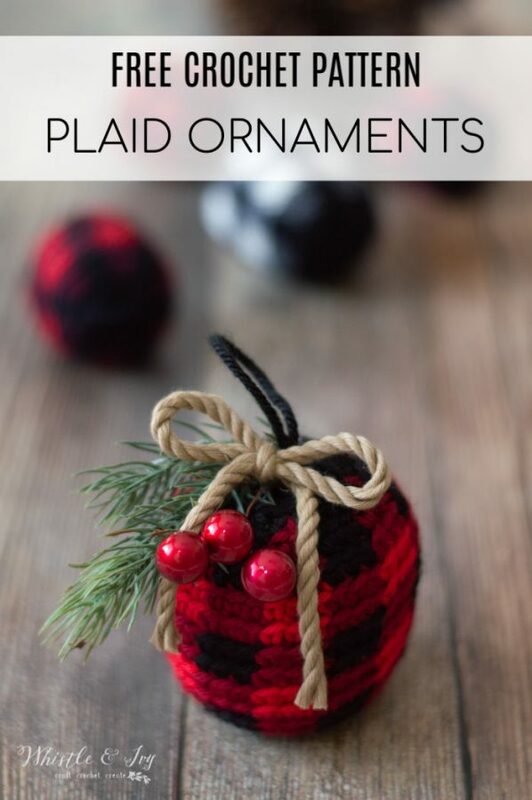 Today kicks off Plaid Week and the first pattern of the week is Crochet Plaid Ornaments! These are so fun and simple to make, and they turned out lovely. 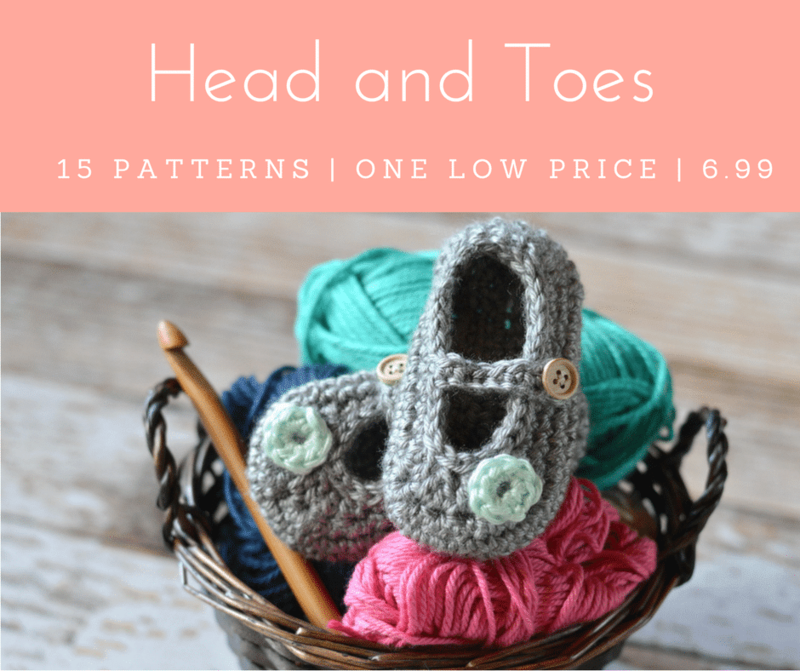 You can also play with the sizes by simply switching up your hook size and yarn. 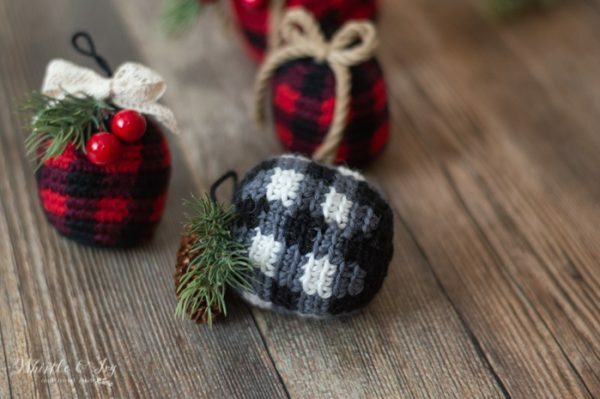 For the smaller plaid ornament I used Knit Picks Shine Sport weight yarn in Serrano, Current and Black. For the medium one I used Red Heart Chic Sheep, which was on the materials list for the upcoming Plaid sheepskin-lined cowl, and for the large one I used Red Heart Soft, which was also on the materials list for a upcoming Plaid Not Knit Hat. 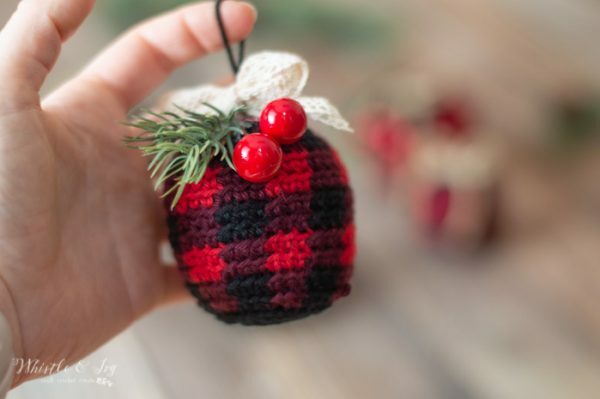 Unless you are planning to make dozens and dozens of ornaments, you should be able make a few now, and then make a whole bunch with the leftover yarn from the other projects this week! I also added a few embellishments to mine but this is totally optional. I love them both embellished and plain. Note: You can make other sizes simply by working the same pattern with thicker or thinner yarn. Be sure to choose a hook that creates a tight fabric so your stuffing doesn’t show. If you stuffing is showing, you will need to go down a hook size. 5. With black, Ch 1. Sc in same st. St in next st(counts as 2nd row of 1st block). With wine, sc in ext 3 sts. Alternate between black and wine every three stitches for remaining stitches. Join. Stuff the ornament very full and firmly. 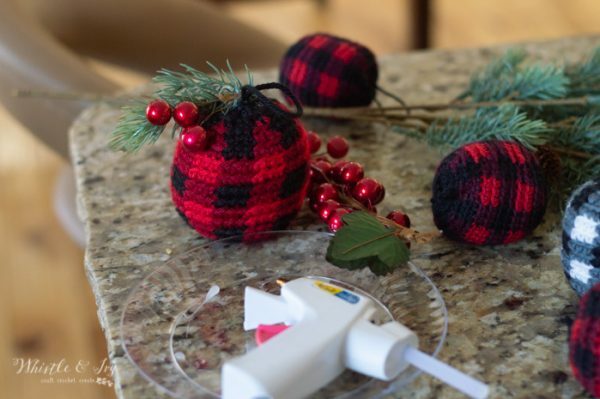 To make sure your ornaments are more round shaped and less cylinder shaped, you will need to strategically stuff, making sure the center has a bit more stuffing than the top and bottom. 15. Sc2tog 9 times. Sc in last st. Join. Using the tail and a darning needle, sew a running stitch around the remaining 9 sts and cinch tight to close. 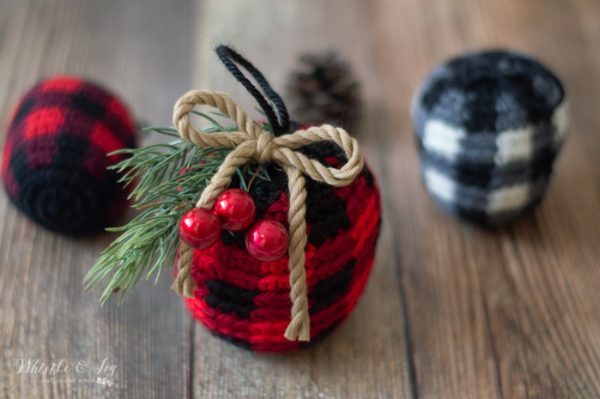 Insert your needle 1/2″ away from where your yarn is left off, across the very middle center of the ornament (to make the hanging loop on top). Weave in your ends to keep the loop from pulling tight or loose. From here you can add your embellishments. I went to Joann and found various fun things to add like twine, string, berries, evergreen sprigs and pinecones. Glue them in place with hot glue. I found that a nice bow on top hid any ugly glue spots. I hope you loved today’s pattern, the first plaid pattern of plaid week! 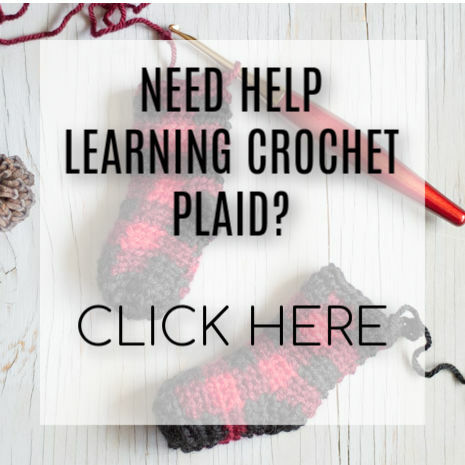 Come back by tomorrow for Day 2 of Plaid Week and another free crochet pattern! 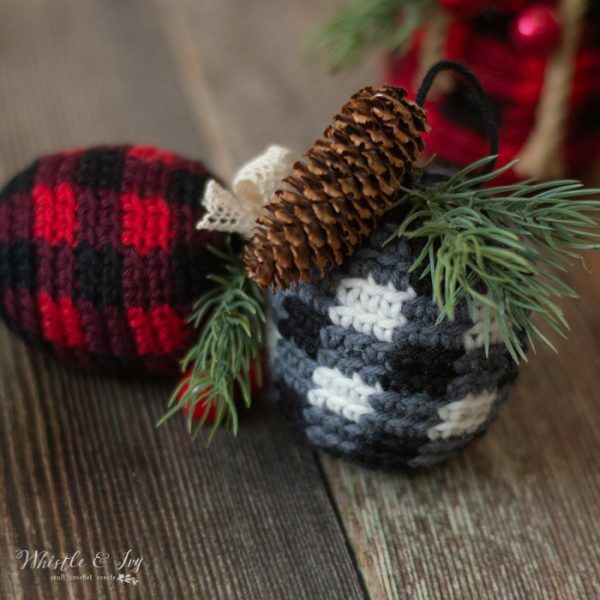 Be sure to share your Crochet Plaid Ornaments in our Facebook Community! We need YOU! First time switching colors and couldn’t figure out how not to add the new color. A light bulb went off and I crocheted an extended sc with one color and finished off the sc with the new color works perfectly! Thank you for the pattern it’s so cute! Do you know which colors you used for the Red Heart Chic Sheep? I got stiletto and lipstick and thought sunset was the other color I needed, but it’s more pink, so I’m not sure what other color I could use to replace sunset. Yes! The black and white one is Chic Sheep (That line doesn’t have the right burgundy color for plaid). I used stiletto, lace, and platinum. So cute, thanks! How did you make the cute bow with rope? Thank you! I just tie a bow and attached it with hot glue. Adorable! Thanks Bethany. :-) Just finished my first one. I do believe it is the cutest thing I’ve ever made. Will post on your Insta site and FB community. Thank you so much! They are very fun to make, aren’t they? My tree will be full this year! You don’t disappoint!! I love your creativity. Can’t wait to start! Whenever I make them they sell almost immediately at the Brick and Mortar store that I sell at. That is AWESOME! I am thrilled your finished items sell, that is wonderful to hear. These are so pretty! I wish I could do this plaid crocheting. I would like to have at least one on my tree. Hook is out and ready to hook!~ Happy Plaidmus Everyone! 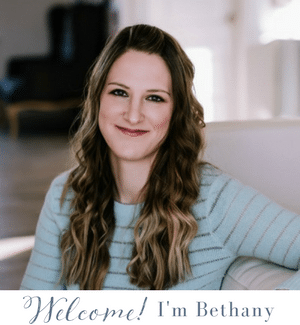 Thank you Bethany, you’re the best!